PBX or private branch exchange is a sophisticated phone system that allows switching of internal lines, and is commonly used in business. A limited number of external phone lines are shared amongst those users in the business. Local lines provide a private telephone network within the business. Using a PBX allows a business to save money by investing in a limited number of external lines instead of one for every user. With a PBX, if you are calling an internal number, you only need the 3 or 4 digit extension. This ensures that your call to a coworker is not tying up an outside line. 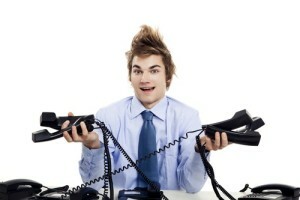 In the past, PBX systems were pricey, cumbersome, and difficult to use. Often users struggled with doing the simplest of tasks, and “what does this button do?” was often heard throughout the office. Calls frequently were dropped as users struggled with the the key sequence needed to transfer callers to the proper departments. Luckily today’s virtual systems have conquered such kinks. Today’s PBX, as with Halloo’s business phone system, are virtual and can be used with your existing phone equipment. Simple to set up via the cloud, this type of virtual system lets you do much more than just make and take phone calls. Services like Halloo provide a wide variety of benefits for both users and callers, including auto attendant, voice mail, automatic call distribution, call forwarding, and more. These systems are affordable and adaptable to accommodate all of your business phone needs. What Kinds of Companies Can Benefit from a Virtual PBX? Start-ups can greatly benefit from PBX because it helps keep costs low so money is freed up for other necessities. Seasonal businesses should invest in PBX in order to have more internal lines during the busy time of the year without ever changing the number of external lines. Rapidly expanding businesses can use PBX to be able to quickly add internal lines without the added expense and time needed of more external lines. Companies with a portion of their staff who do not need to spend the majority of their day on the telephone. Companies where employees work from home or other locations because they can transfer callers to a coworker who is miles away, giving the impression that your business is bigger and more centralized than it actually is. A virtual PBX system can save you money and provide the tools needed to support excellent customer service. Plus, with Halloo, contact management and notes are already included, helping to ensure the best possible customer interactions.